Sunday was the first official day of Fall and I couldn't be more excited. Fall is my favorite season especially when it comes to baking. 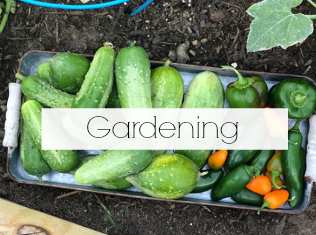 I'm looking forward to cooler days, chilly nights, the changing of leaves, football, comfort food, apple picking and pumpkins. I don't know about you, but as soon as the weather changes I immediately crave certain foods. The weather is beginning to change in North Texas. Were still in the upper 80's and low 90's, but honestly I think the 100 degree temps are far behind us. Even though the fall weather hasn't officially arrived I’m still choosing to embrace the season. 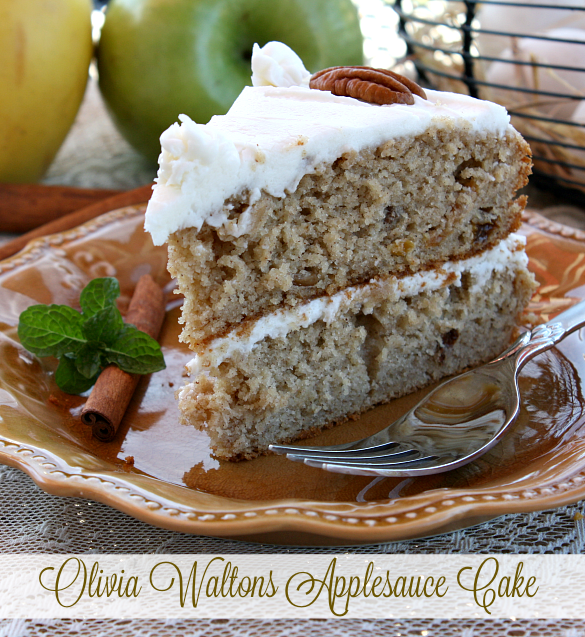 When I think of Fall apples and pumpkins come to mind, so to kick off the fall season I'm sharing some delicious apple recipes with y'all. 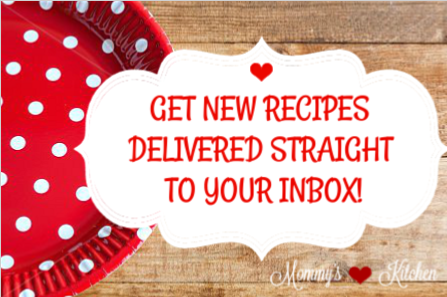 30 Apple Inspired Recipes For Fall!! 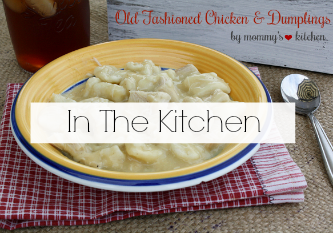 Enjoy the flavors of fall with these warm and delicious skillet Skillet Apple Dumpling Bites. 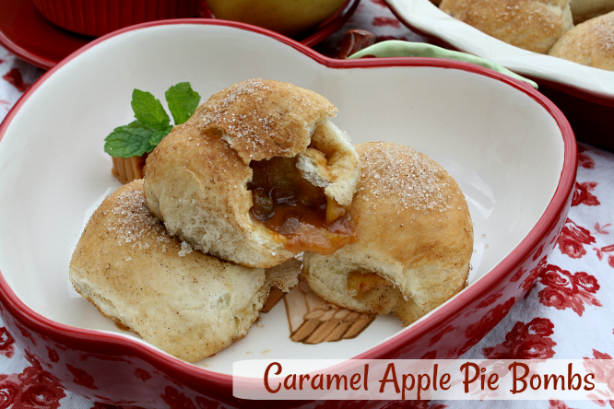 Ooey-Gooey Pull Apart Caramel Apple Pie Bombs filled with apples, brown sugar, cinnamon and caramel candies. 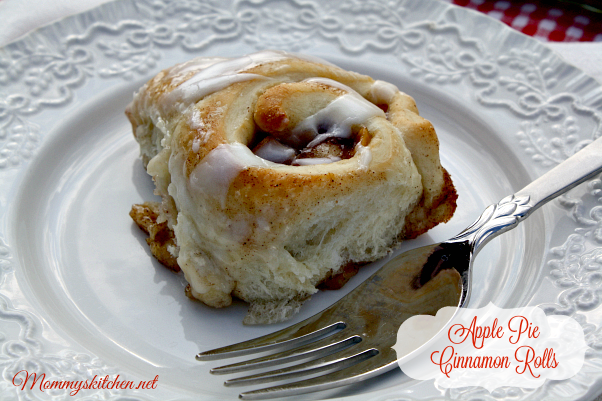 These Apple Pie Cinnamon Rolls start with frozen bread dough, and are finished off with fresh apples, cinnamon and brown sugar. 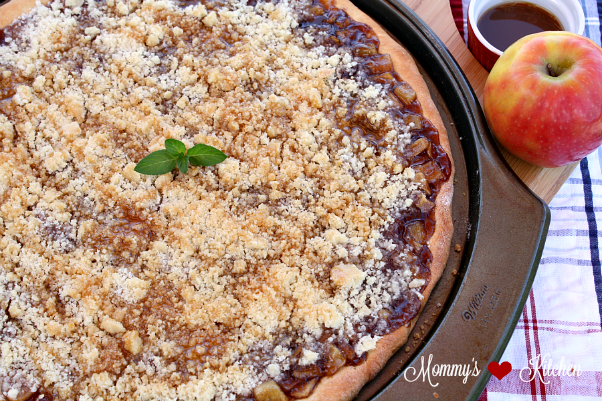 This Apple Caramel Crisp Pizza has all the flavors of Fall baked on a pizza crust using Rhodes Frozen Dinner Rolls. If you're a fan of the TV show "The Waltons" This is Olivia Walton's Applesauce Cake W/Whiskey Frosting aka John Boy's favorite cake!!! These scrumptious Mini Hand Apple Pies are made with canned biscuits and a handful of pantry ingredients. 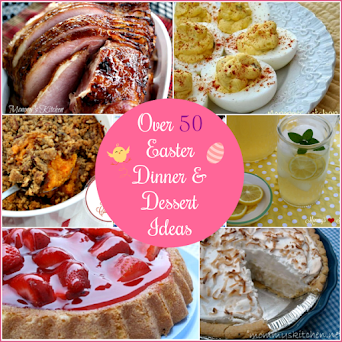 This recipe is perfect if you need a easy last minute dessert. Moms Fresh Apple Cake by far this is my favorite Fall cake. This recipe comes from my mother in law, so I've been enjoying this cake for as long as I have been married. 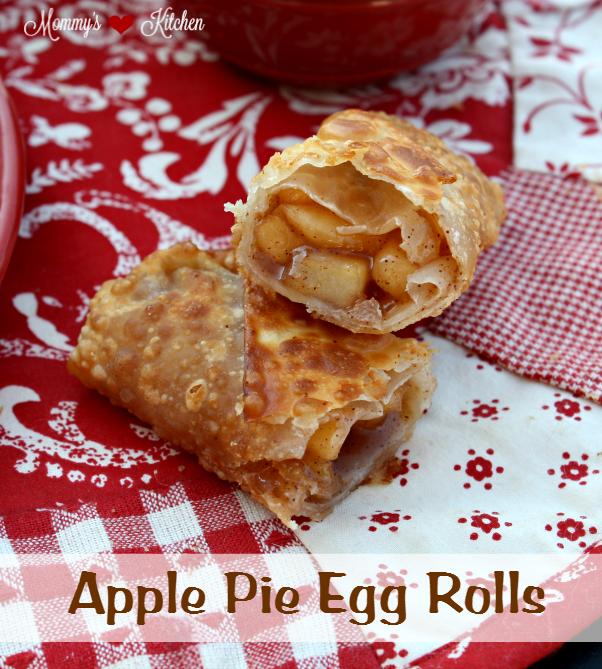 Apple Pie Egg Rolls with a yummy caramel dipping sauce. These can be baked for fried! This easy Apple Cider Coffee Cake: is made with just a few pantry staples. Sometimes simple is best. 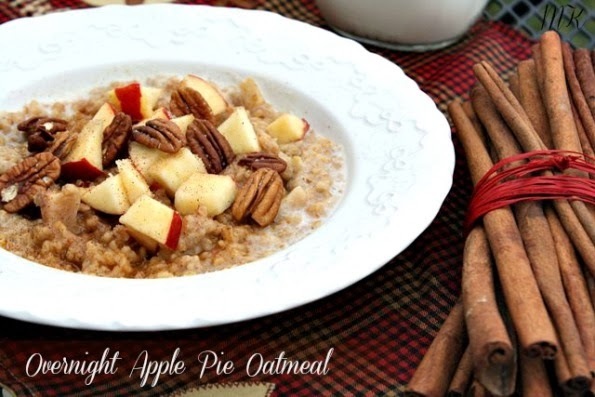 All the prep work is done the night before making this easy Overnight Apple Pie Oatmeal a quick and nutritious breakfast. 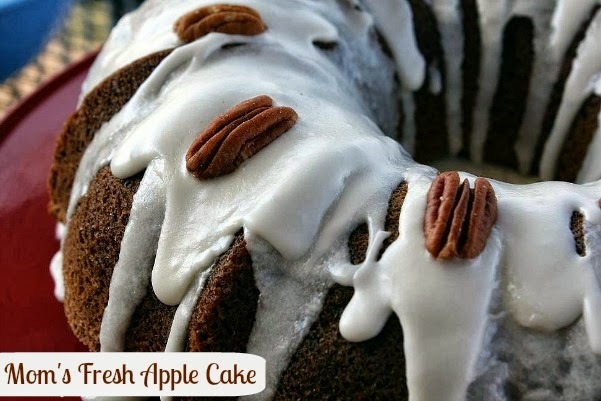 If you have a apple or two that need to be used up these yummy Apple Fritters are perfect. 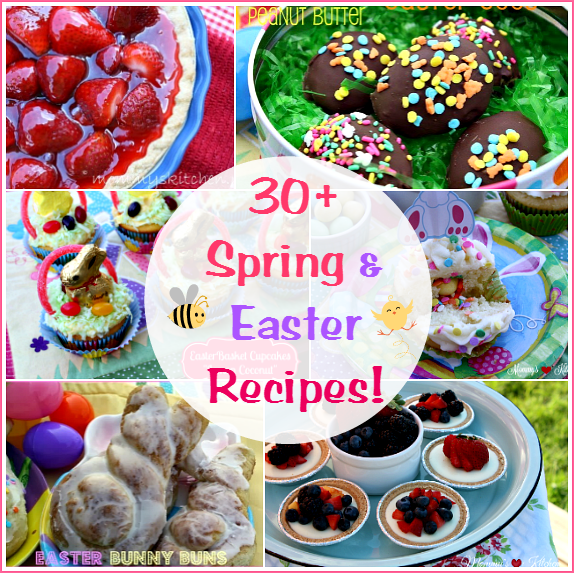 Enjoy them with powdered sugar or a sweet glaze to top them off. 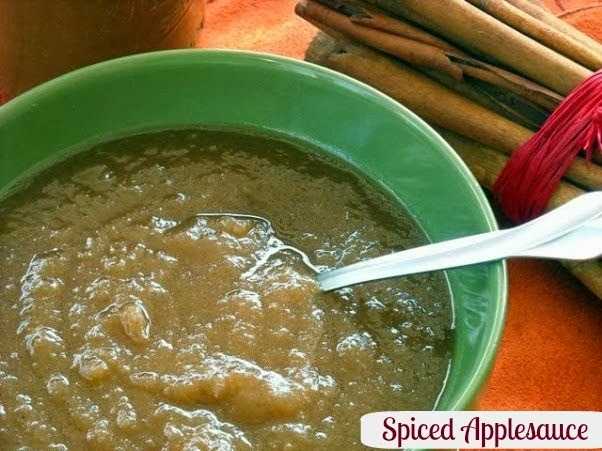 Homemade applesauce is easier than ever with this recipe for Spiced Applesauce. The best part about this recipe is that it's cooked in a slow cooker while you sleep. It doesn't get much easier than that. 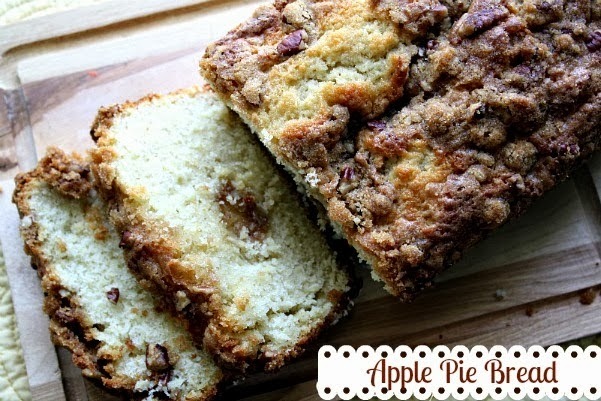 Apple Pie Bread tastes just like apple pie, but in bread form The longer this quick bread sits the better it tastes. Most times this bread never makes it past the first day, so I always make two. 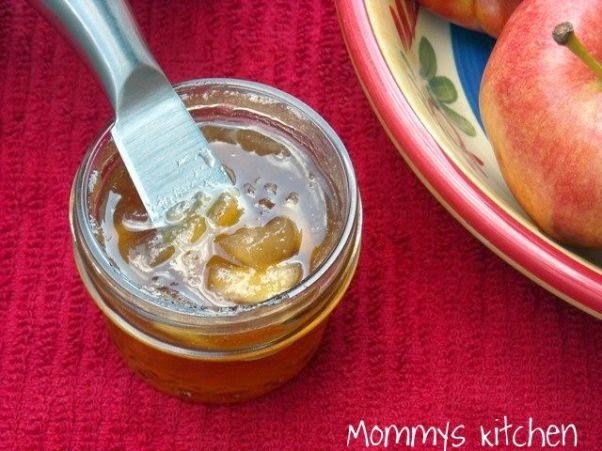 This easy Apple Pie Jam makes a wonderful gift for the upcoming holiday season. 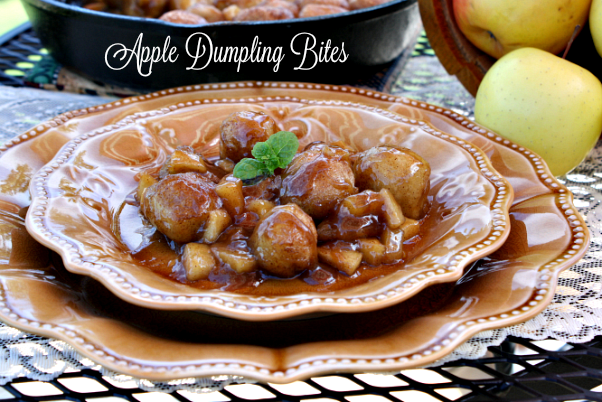 If you have a lot of apples that need to be used this is a great recipe. 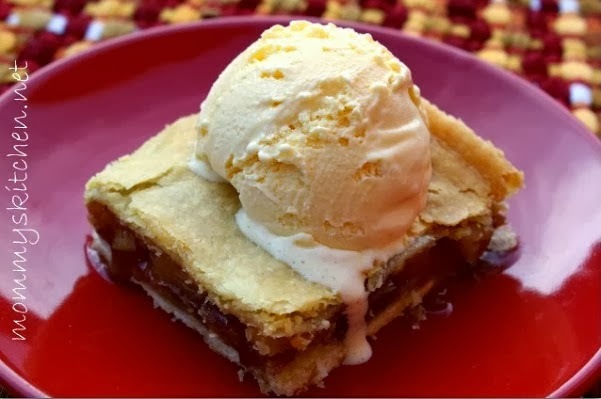 This recipe for Michelle Obama's Overnight Apple Cobbler turned quite controversial on my blog several years back. Everyone thought since our First Lady promotes healthy eating she should not be making or eating apple cobbler. In my opinion everyone is allowed to indulge in their favorite foods from time to time even if they promote healthy eating. It's all about moderation not giving up on certain foods entirely. This recipe takes a bit of time and patience, but definitely the best apple cobbler I've ever had. From the best apple cobbler to the The Best Apple Crisp. I found this recipe on a throw down episode with Bobby Flay. This recipe is not your usual apple crisp since it doesn't contain oatmeal. The fruit filling taste just like apple pie with a buttery crisp topping. I can never decide if I like the filling or the topping the best. is the recipe to make. Homemade canned pie filling is always the best. 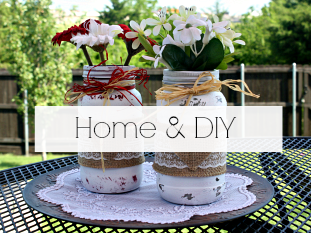 Make a few extras, because these also make wonderful holiday gifts. Caramel Apple Crisp is just a spin on traditional apple crisp. Don't forget the vanilla ice cream for this one. Southern Ambrosia is one of my favorite southern salads. I like to add chopped apples to mine. It's not for everyone, but don't knock it till you try it. 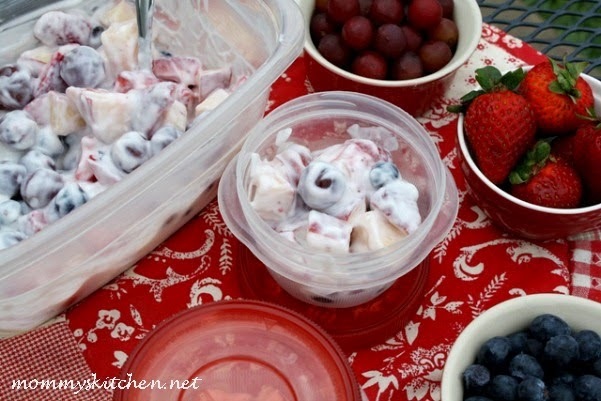 My kids love this simple Yogurt Fruit Salad made with diced apples, grapes, blueberries and strawberries. This recipe for Crock Pot Apple Butter is simply the best. All the prep work is done the night before and then everything is added to the crock pot and cooked overnight. This is a easy one folk and delicious on buttermilk biscuits. 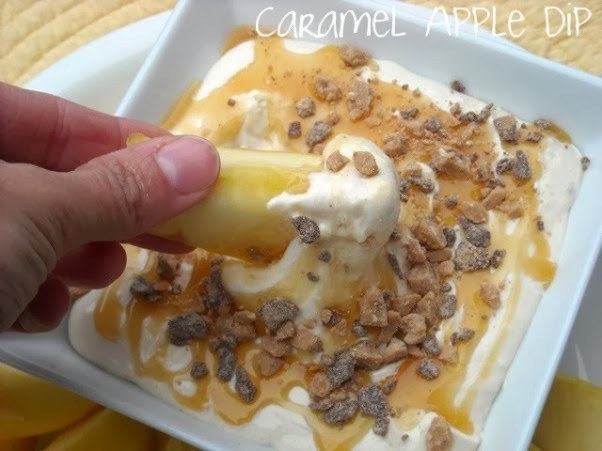 For this recipe you can either add chopped apples to the Caramel Apple Dip or slice the apples and serve for dipping. This fruit dip is very kid friendly. Here's a recipe for Spinach & Apple Salad that's really good. 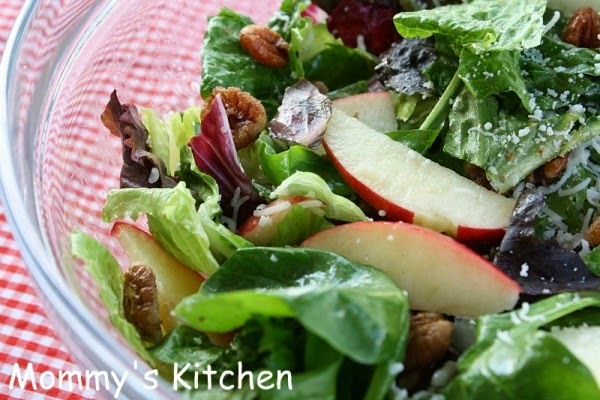 It has the combination of spinach, salad greens, apples, goat cheese and candied pecans. 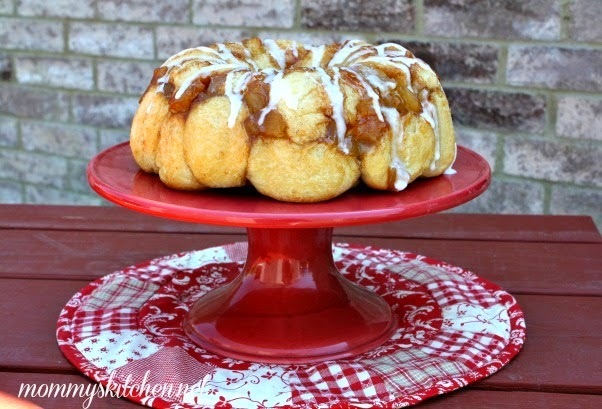 This easy Apple Pie Pull Apart Bread uses the convenience of canned apple pie filling. Make it extra cinnamony by shaking each of the bread pieces in a cinnamon sugar mixture before baking. 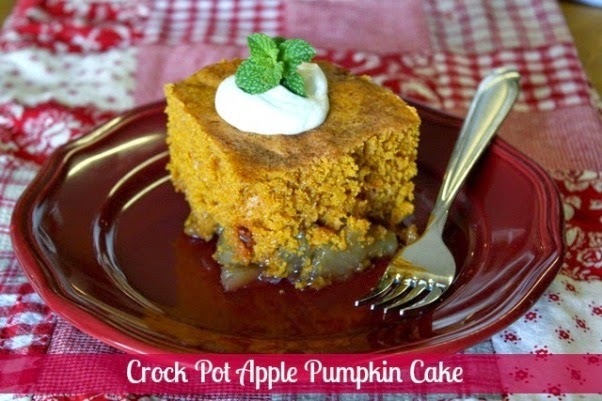 Crock Pot Apple Pumpkin Cake is super simple and is baked in your crock pot saving precious oven space during the holidays. My husbands grandmother knew how to make a mean tuna salad sandwich. I was skeptical when he first made it for me, but fell in love instantly. Who would of thought to add shredded apples to tuna salad. From then on we called it Ma Maws Tuna Salad. 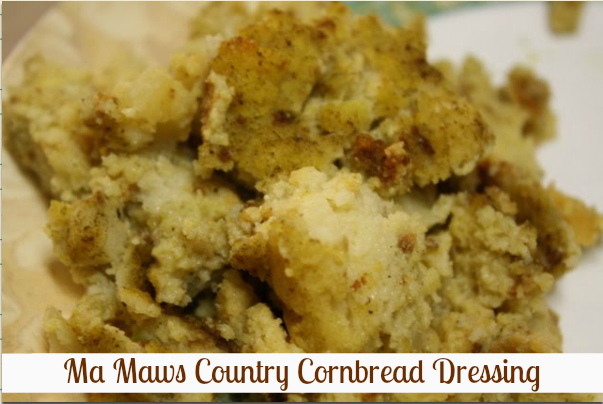 Ma maw also added a apple to her Country Cornbread Dressing. This dressing is my favorite part of the Thanksgiving holiday. I usually eat this dressing until I pop. Ma Maw isn't with us anymore, but I'm so glad I can still make some of her favorite recipes. This Skillet Apple Crisp is courtesy of Paula Deen. It's baked in a cast iron skillet, so you know it's good. 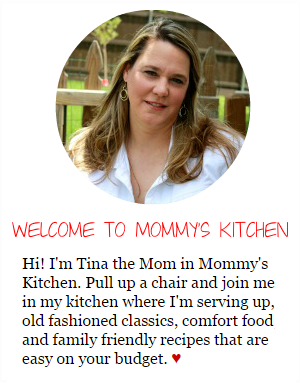 The last two recipes are courtesy of my friend Christy Jordan over at Southern Plate. 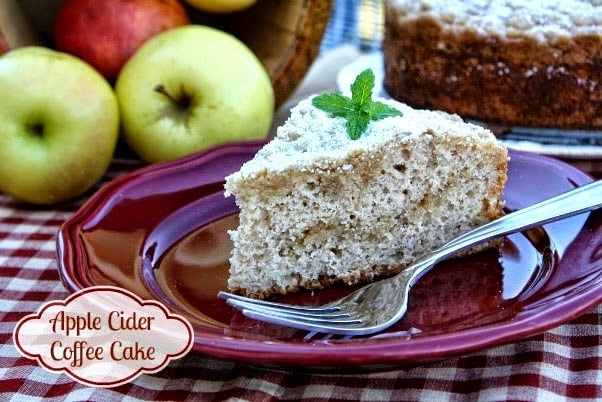 I made this Apple Orchard Snack Cake a few years back and it's become a family favorite. And last but not least is Christy's mama's recipe for Southern Apple Pie. This is my go to recipe for apple pie, because it's that good folks. 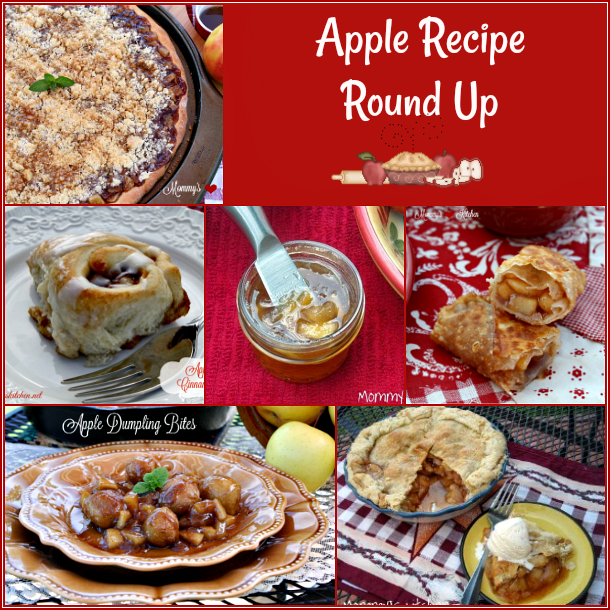 I hope y'all enjoy these apple recipes as much as my family does. If you've tried some of them consider yourself blessed. If you haven't what are you waiting for?